As I stated previously, the names my great-grandmother, Marion Reid Gartshore carried were very old and well-known in the Coatbridge area. The earliest relative in the Gartshore line I have currently was John Gartshore, born about 1650 . I assume this was in Kirkintilloch as he married there in 1673 to Elizabeth Wood. 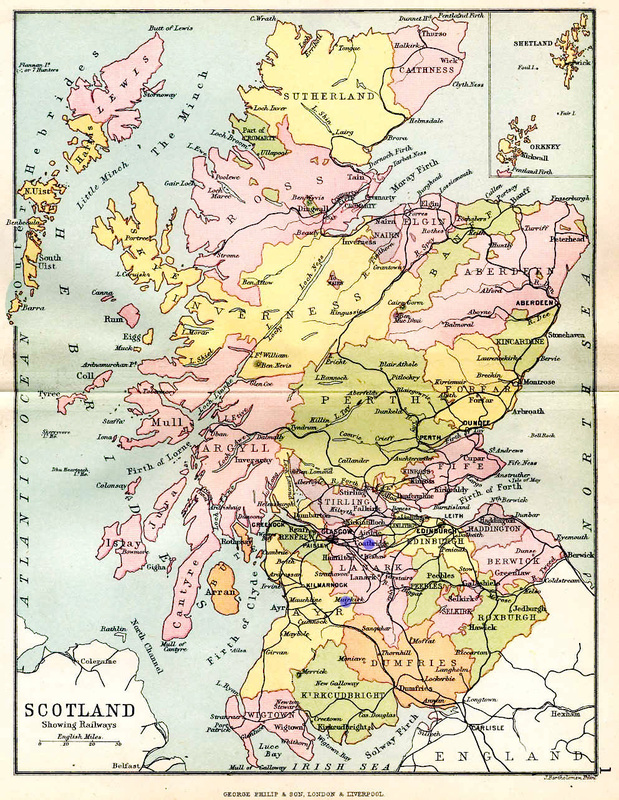 Below, a map showing where these places are in Scotland. 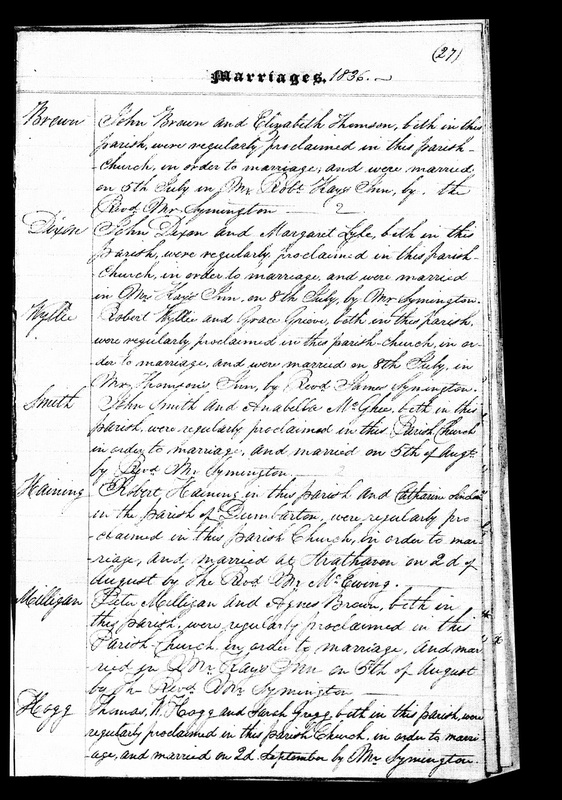 In the 1861 census, they had 9 children. They too had 9 children. 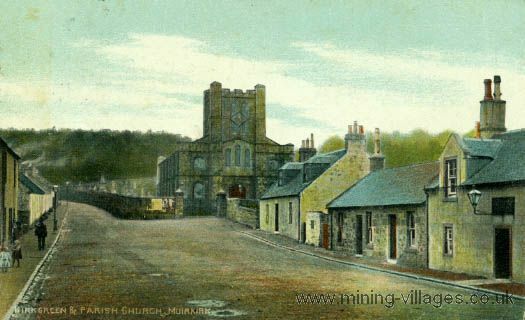 My great grandparents, James Smith and Marion Reid Gartshore were married in New Monkland in 1879. They had 13 children, but only 9 survived, my grandmother Jane Gartshore Smith being one of them. 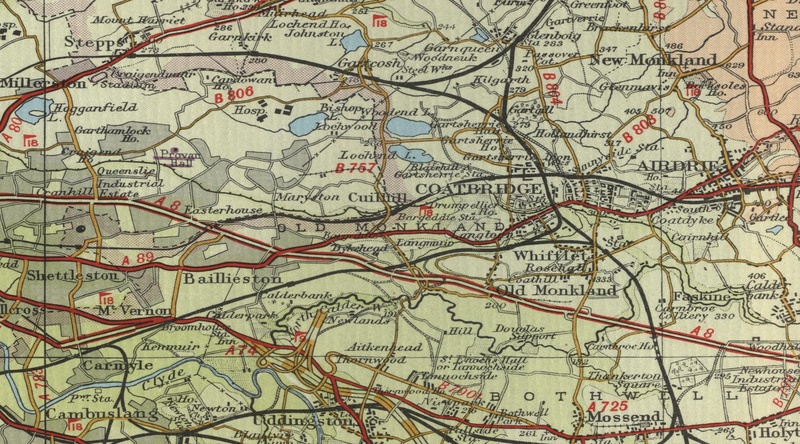 Below, a map of Coatbridge in the 19th century. The stories of Muirkirk and Coatbridge are similar but perhaps on a different scale. Both were basically pastoral communities, though Muirkirk is described as being quite bleak, having been a forested area in ancient times and cleared just enough to allow grazing and some agriculture. Like Coatbridge, there was temporary prosperity during the time of the iron works which were established there. When they ran out, the place was left with few prospects. 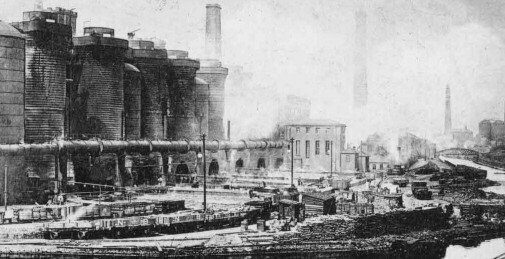 By the time my grandmother was born in 1887, the waste heap for the iron works was a big as the Great Pyramid of Egypt. The Gartshores and Smiths had migrated down to Coatbridge, very likely to find work. All the men in my grandmother’s family worked at the iron works and one of her brothers, Samuel came over to New York to work in the rolling mills there. The other side of the story would also be about how this employment brought prosperity to the area and to the family. We will talk about that next. This entry was posted in Coatbridge, Jane Gartshore Smith, Scotland and tagged Annabella McGhee Smith, Coatbridge, James Smith and Marion Reid Gartshore, Jane Gartshore Smith, John Gartshore by Shamwest. Bookmark the permalink.